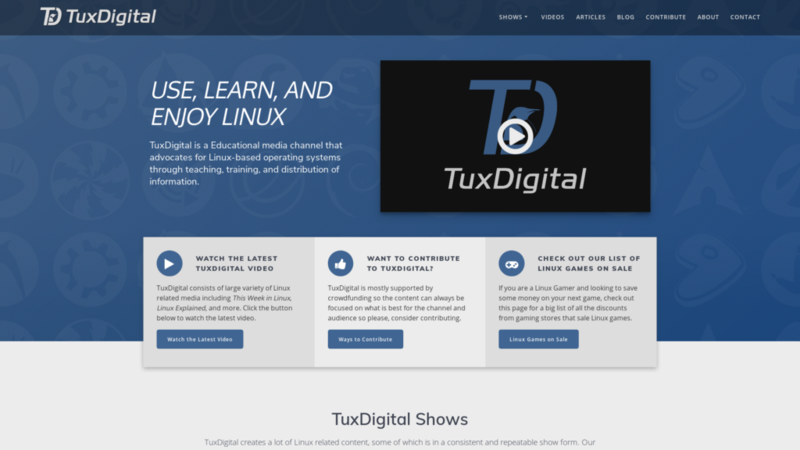 I am so excited to launch the official website of TuxDigital! TuxDigital.com is the new main place for all of the Linux related content that I want to create and share with everyone. On this site, I will be posting the videos, livestreams, tutorials and even written articles to help others Use, Learn and Enjoy Linux. I am a big Linux enthusiast so I am so excited to start using this site as a place to share my passion with you. I’ll admit, this site is not complete because I plan do be making content for a very long time so in a way it likely won’t ever technically be “complete” but with that said I have a lot of things planned for the future of this website. Here’s a list of things this site will contain starting now and I’ll mention of things I have planned at the end of this post.